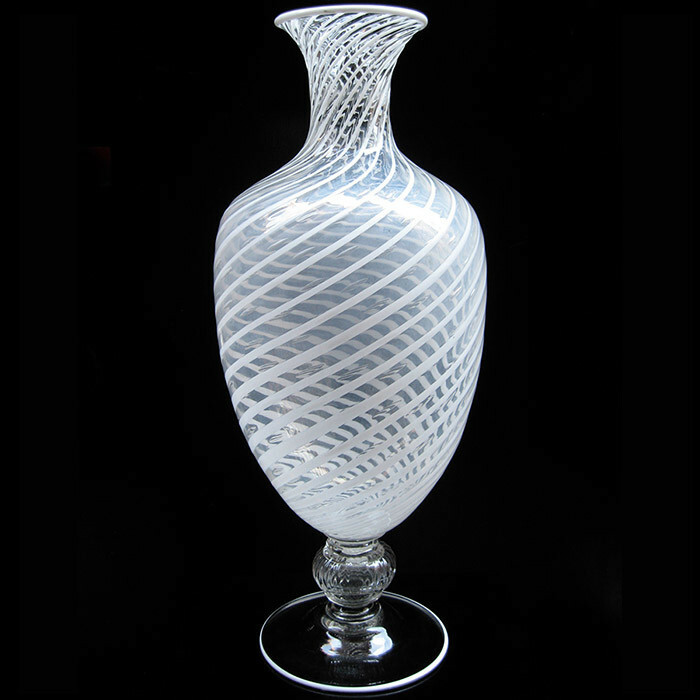 A Fine Art Glass Baluster Form Vase by Vittorio Zecchin for Venini. Entitled "Veronese". Executed in clear glass with air bubbles and slightly raised threads of opaque white glass. Stamped: Venini Murano ITALIA. Dimensions: H:22 Diameter: 9 Inches.